The McKee Private Capital team is comprised of real estate professionals with extensive formal education and industry experience spanning over 32 years. We have navigated many real estate cycles, in both up and down markets. Specializing in the analysis, acquisition and management of real estate investments, MPC has represented hundreds of investors in the achievement of superior investment returns. 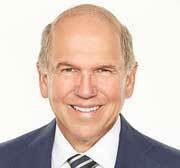 Russ McKee, founder and CEO of McKee Properties, has been a licensed California real estate broker since 1980. Through several strategic acquisitions, including Pacific Coast Management Systems, Strand Crown Realtors, Prudential California Realty Coronado, and McMillin Property Management, Mr. McKee has grown the company from a small San Diego based property management company into a diverse real estate enterprise including residential, commercial, and retail management and brokerage throughout San Diego County. In 2004, McKee launched McKee Private Capital to form group investments for the acquisition and operation of multi-family investments across the U.S. In 2010, Mr. McKee turned day to day operations over to his sons, Patrick and Brendan, who work closely managing the two divisions of the company; McKee Properties and McKee Private Capital. McKee spends his time traveling, both for work and enjoyment, looking for new investment opportunities and classic cars to add to his collection. Mr. McKee's education includes a Bachelor's Degree in Business Administration from Rochester Institute of Technology, and a Master's Degree in Real Estate and Finance from National University. He holds the CCIM designation awarded by the CCIM Institute, as well as the National Affordable Housing Professional and Certified Occupancy Professional designations awarded by the National Affordable Housing Management Association. 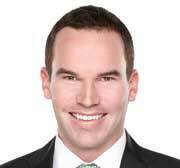 Patrick serves as Vice President and Senior Asset Manager at McKee Private Capital. 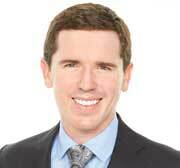 He has worked with MPC’s Midwest multifamily portfolio for five years. His core responsibilities include acquisitions, risk management, contract negotiations, and underwriting. Patrick earned his B.S. in performance at the Berklee College of Music in 2008 and is currently working on his CCIM designation. He travels extensively both in the pursuit of new invesmtent opportunities as well as the oversight of MPC's existing portfolio. 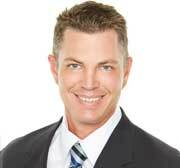 Brendan oversees McKee’s San Diego based residential property management division, McKee Properties. He grew up in the family business and worked his way up through the company, starting out as a leasing agent at the age of 18. He’s learned every aspect of the business hands-on, and continues to play a vital role in bringing our clients new and innovative services. Brendan and his team work tirelessly to provide our residents safe and enjoyable living environments in all of our communities. He became the broker of record for McKee Properties in 2015. He is a 2009 graduate of DePaul University in Chicago, holding a Bachelor’s Degree in Advertising and Public Relations. 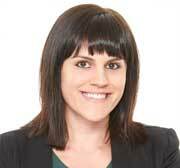 Laurren is in charge of accounting services for McKee Private Capital and McKee Properties. She is responsible for the overall financial management of the company & directly oversees all aspects of the day-to-day accounting activities. She has over 8 years of experience working in the accounting industry. Laurren graduated with honors from San Diego State University with a Bachelor of Science degree in Business Administration with an emphasis in Finance, and became a licensed Certified Public Accountant in November, 2015. Keith is a 15-year commercial real estate industry veteran and oversees McKee’s Commercial Division consisting of the brokerage, property management and leasing of retail, office, and apartment properties. Keith has a well-rounded foundation of experience having functioned in a variety of real estate capacities including brokerage, management, leasing, portfolio lending, and ownership/acquisitions. Prior to joining McKee in 2010, Keith worked with a top San Diego development company where he sourced and evaluated commercial and multi-family residential real estate projects ranging in size from $10 to $100 million for the purpose of joint venture acquisitions in select western submarkets and contributed in JV acquisitions of over 1.8m SF with a total capitalization amount in excess of $317 million. Keith holds a Bachelor of Science degree in Business Administration with an emphasis in Real Estate from San Diego State University.